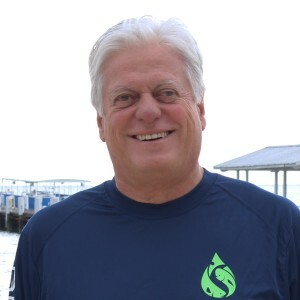 Daniel Benetti is a Professor and Director of Aquaculture at the University of Miami’s Rosenstiel School of Marine and Atmospheric Science. Besides his academic responsibilities at RSMAS, he carries out and directs research on science and technology projects in all developmental stages of a number of ecologically and commercially important marine fish species for fisheries and aquaculture. His research focuses on understanding the basic physiology and energetics as well as the nutritional and environmental requirements of tropical and subtropical marine fish species to optimize their growth, survival and feed conversion rates. Benetti specializes in advanced hatchery technologies and has published extensively on physiology, handling, nutrition and culture of ecologically and commercially important species of marine fish. He has published over 100 articles in aquaculture science and technology, has extensive experience within the industry and has been a consultant for the private and government sectors in Latin America, U.S., Europe, Asia, Caribbean and Australia, where he has partnered with the government and the industry to spearhead advanced technology for hatchery and sustainable offshore aquaculture development. He is the scientific coordinator of several offshore aquaculture projects and operations in the US and abroad. He is consulting for technology transfer of marine fish hatchery and grow out for the government and private sector of a number of countries in 5 continents in project development for sustainable aquaculture and environmental monitoring programs with a focus on open ocean and coastal mariculture operations. His work is centered on innovative research to ensure that seafood production through mariculture is wholesome, environmentally sustainable and economic viable. Being a part of RECOVER is an exciting opportunity to contribute with his experience and expertise to complement those of an outstanding team of leading scientists of various backgrounds to address and resolve important uncertain scientific questions.